Price per pair in Australian dollars. PayPal welcome – no surcharge. 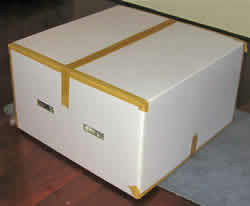 *Auspost carton size limit – 140cm girth (that’s a tape wrapped around it). International couriers are extremely expensive - approx wts and dims can be supplied if you want to check it out. Couriers within Australia are reasonable and I can supply estimates on request.